From kitchen cabinet refacing, to complete kitchen remodels, Michael David Cabinetry and Design, LLC has years of experience to make you kitchen functional, beautiful and inviting. The kitchen is the homes central hub, this is the space where family and friends spend the majority of their time together. Creating a space that offers, form, function and flare takes a unique and specialized skill set; Michael David Cabinetry and Design, LLC can work with you and for you to create a space that meets all your needs and expectations. Specialty woods, ornate craftsmanship, attention to detail and professionally applied finishes… elements that make a room stand out. When redesigning the kitchen thinking about storage organization is a key element to a truly functional kitchen. Seems like you never have enough storage or that corner cabinet is not ideal for storing items that you need to get to on a daily bases. Consider handcrafted custom cabinetry that includes corner cabinet with lazy susan, pantry, spice rake, taller cabinets and built in trash/recycling bins. Michael David Cabinetry and Design is sure to include into the design all the storage needs. Michael David Cabinetry and Design, LLC never forgets that you are the focus of your project and that we are guests in your home. We welcome the opportunity to work with and for you and assure your complete satisfaction both with our service and our craftsmanship. 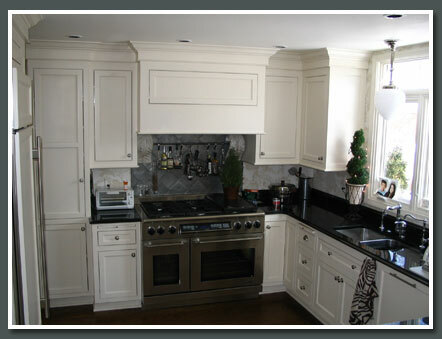 With over 30 years of experience, Michael David Cabinetry and Design, LLC can and will deliver.